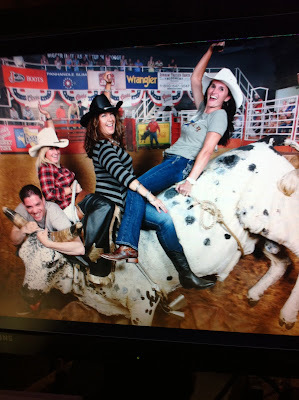 The last couple of weeks have pretty much been a blur! I'm in season, finishing my Masters, working lots of hours and of course most importantly, I have my mom and wife duties. The girls are playing soccer as well and Logan is about to start baseball. 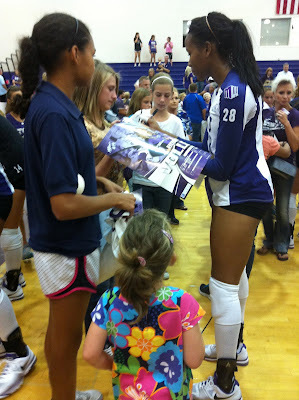 I did find the time to take my team to the TCU vs. Texas volleyball game. 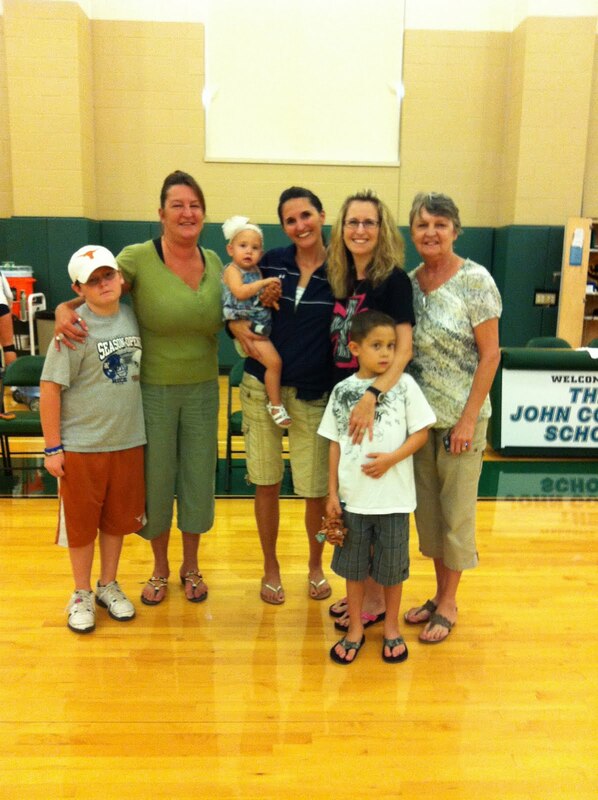 My family came along as well! My team enjoyed watching some college volleyball and were blown away by the HUGE Texas team. Jenny showed up with Cecilia. We are so excited for Baby Fuente #2 to make his/her appearance!! 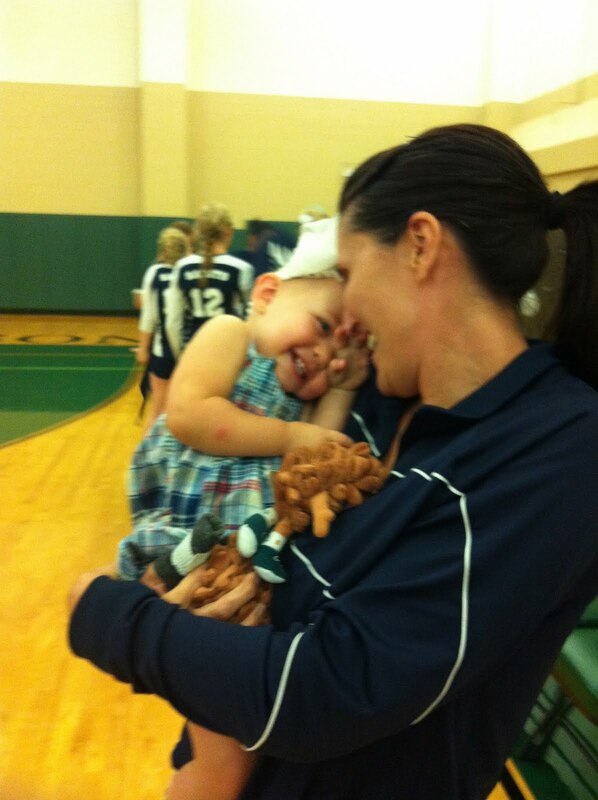 :) We sure miss having her coach with us! 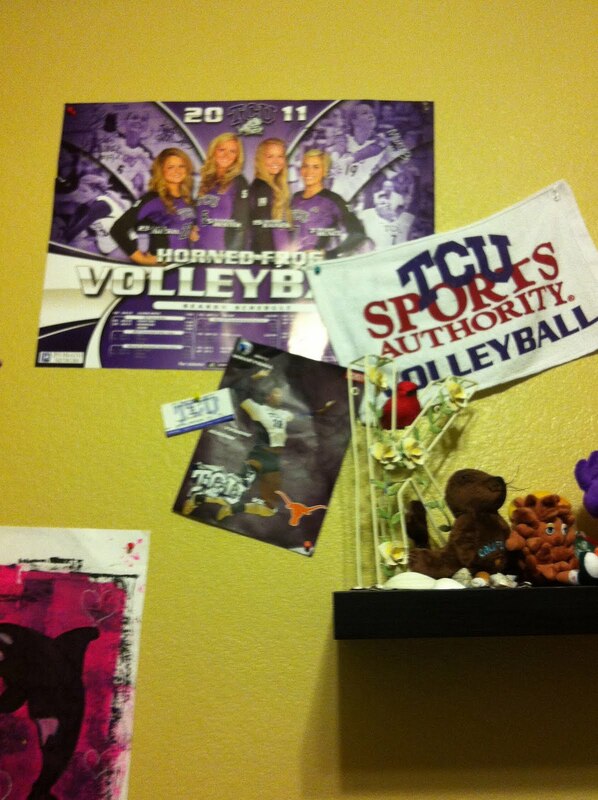 When I was Kansas' age I would put up volleyball posters all through my room. 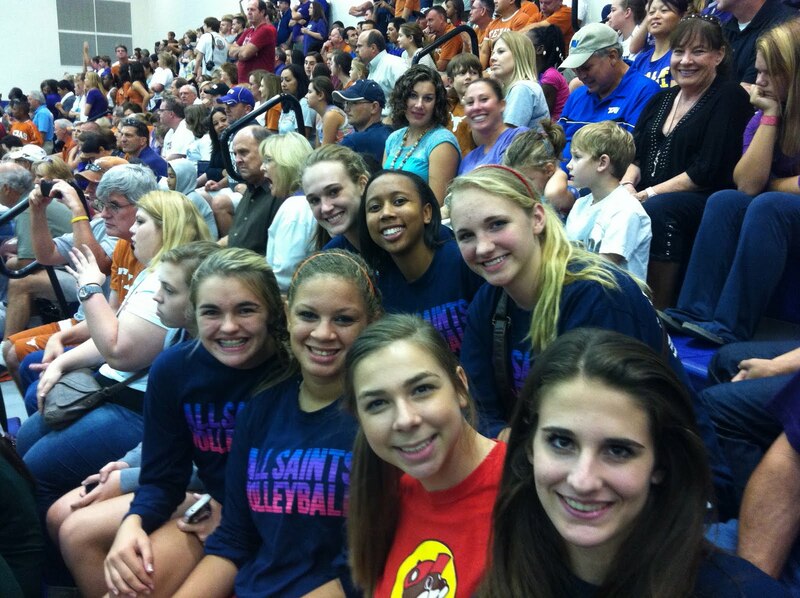 Back then I wanted to go to UT so a lot of them were of UT Volleyball. Kansas didn't waste any time getting her TCU posters on her wall! 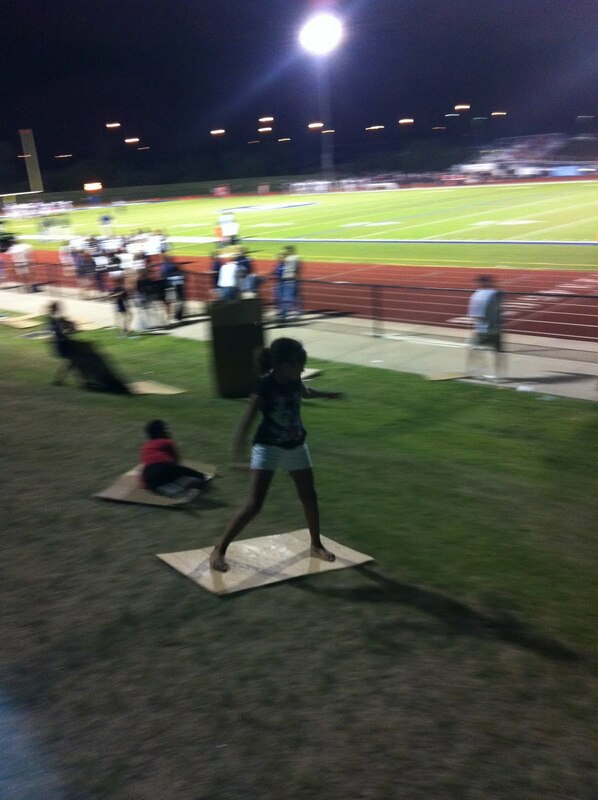 A little blurry but man were those UT girls HUGE!! I thought going to the game would fire my team up for the big weekend of counter games. Unfortunately we went 1-1 and not 2-0 like we had hoped. I hate losing!! I have tried not to think about that and the million other things on my mind this weekend but it is really hard. Thankfully last night was a nice surprise outing as Gene and I took the kids to the Candlelighters Run to help support kids with cancer. 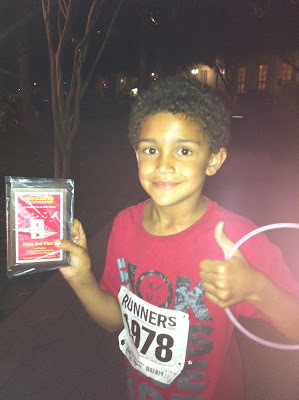 Gene was originally going to just have his CC team run but we decided last minute to enter our kids also. 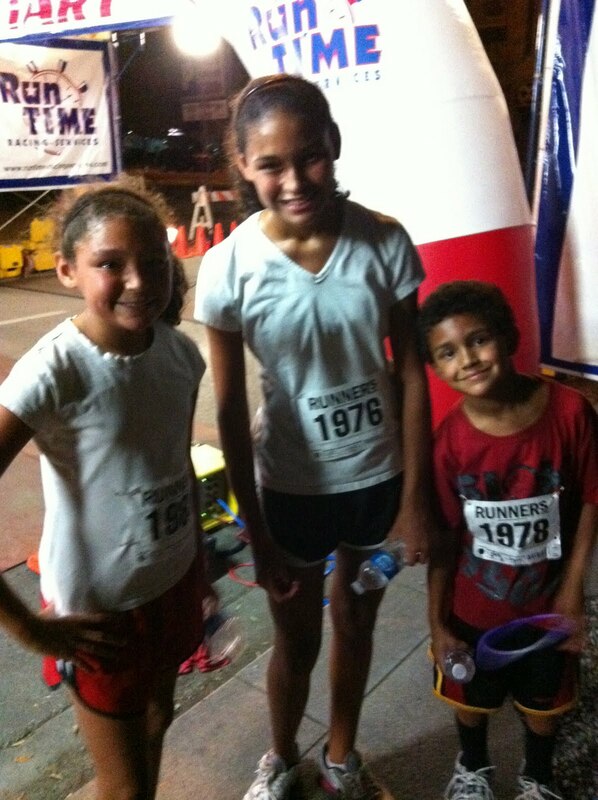 My kiddos after finishing their race! Trinity ran the entire time despite wanting to stop after the first mile. 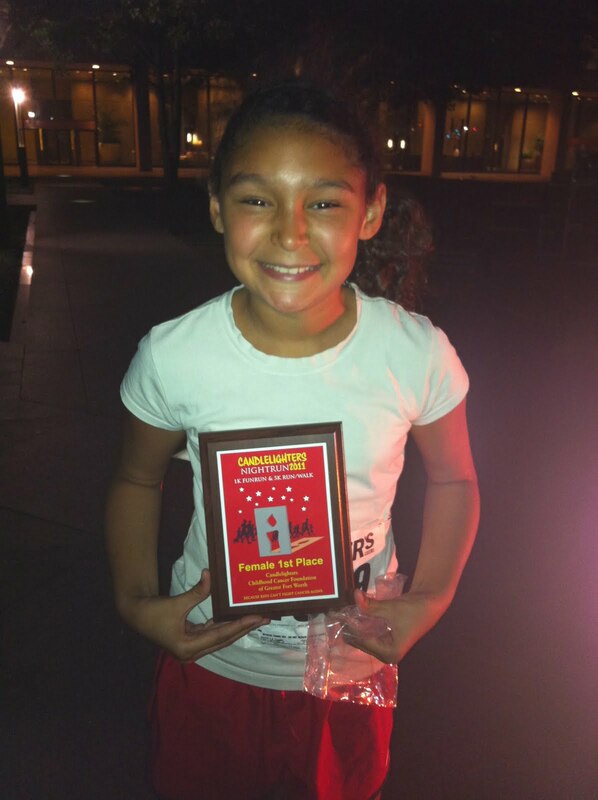 That paid off for her cause she earned 1st Place in her division!! 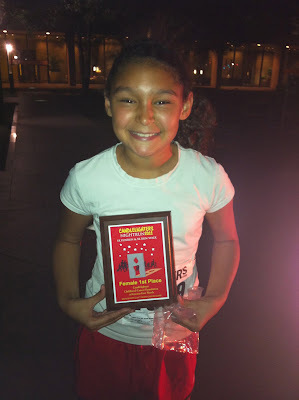 She didn't feel great after the race but once they called her name, she sure seemed to be doing much better! Logan walked a little but still ended up with 3rd place in the boys 10 and under division. Pretty impressive!! Kansas didn't place cause she was trying to not lose her brother (haha) and she was also in the 11-14 age bracket which is a lot tougher. I am glad we were able to make it out as a family. Those are always the most special times to me! 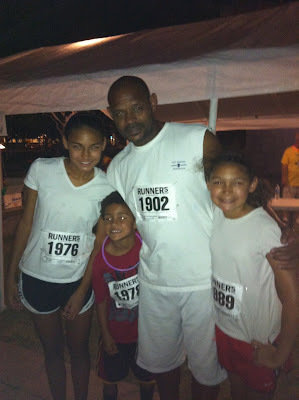 We are going to try to run more of these races together as a family. 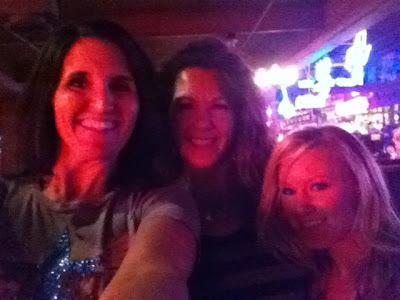 They are lots of fun and they support great causes!! 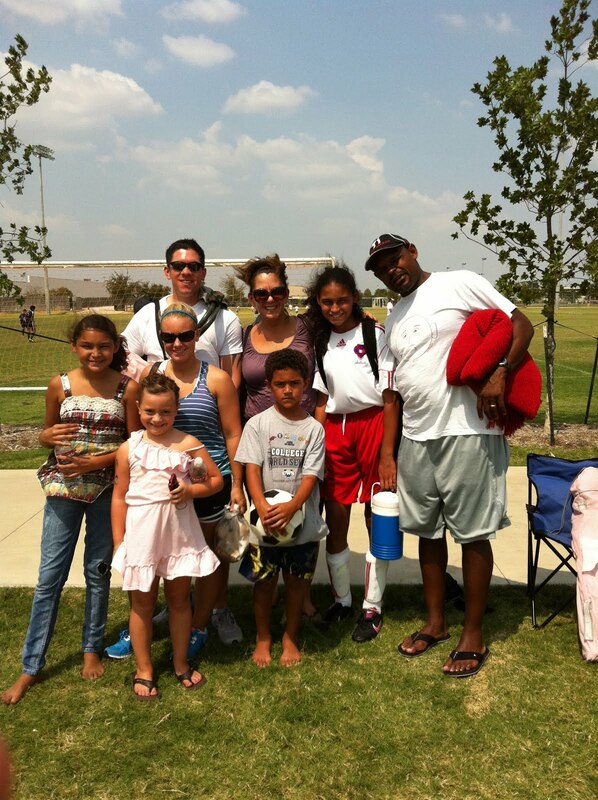 This morning we got up and went and supported Trinity and her soccer team. 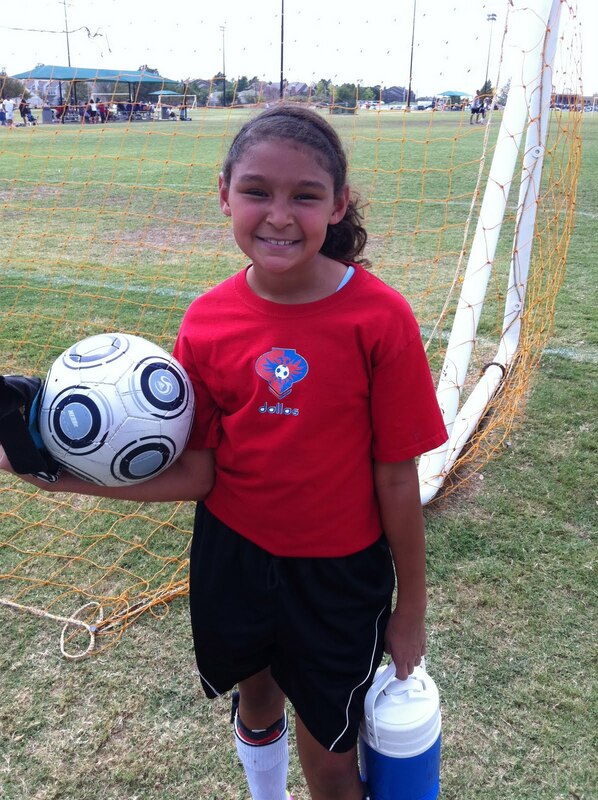 She is doing so well as goalie. When she first started a couple of weeks ago she was somewhat timid but now she goes after the ball no matter who is charging her. 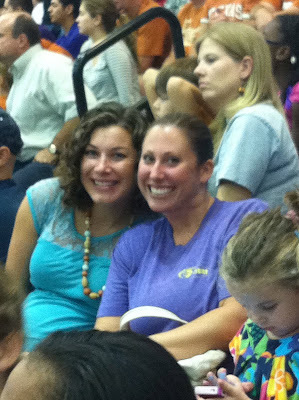 So proud of her....and all of my kids! Back to work tomorrow. Ready to get back in the gym with my team and work on some things to get us ready for our remaining counter games. I start my 2nd to last class with my Masters tomorrow and ready to get this thing finished!! Not that we needed any more craziness but we had to dig up a 3x5 hole in our front yard to fix a pipe that was blocked by a tree root. It just adds to the excitement right? :) No matter what all goes on, I am blessed and thankful. Hope everyone has a great week! So it's been awhile since I have blogged, well on my blog for that matter. I have actually started a blog for our school and it is called Father Mel's Message. Father Mel is our Lower School Chaplain and he is AWESOME!! Our students are blessed to be able to go to chapel every day and get a wonderful message! Father Mel's blog now lets us parents know what they are learning! So check it out if you have some time.....as for me, extra time is nonexistent! I am right in the middle of volleyball season and life is busy as usual. The picture above is me trying to imitate my wonderful manager, Sydney. So what do you think....did I pull it off? 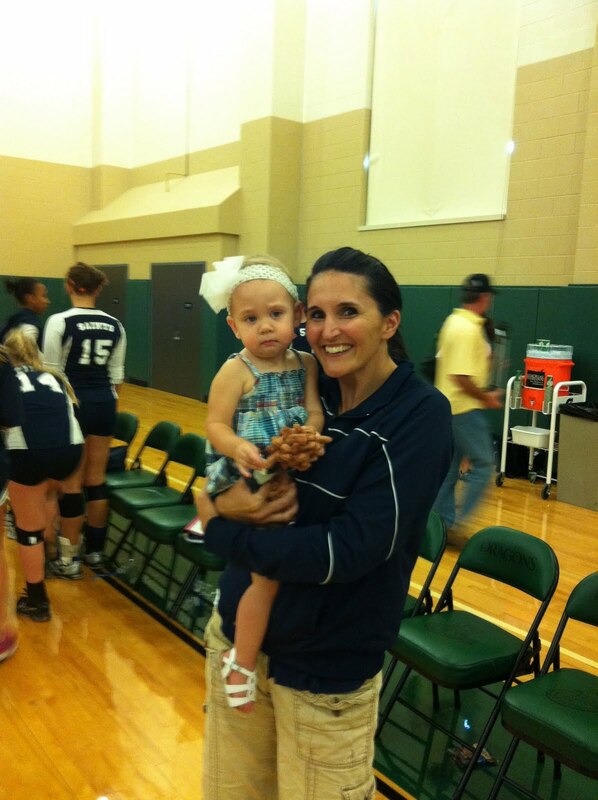 She is my little good luck charm....love her to pieces!! I love being able to see my family on my Houston trips. 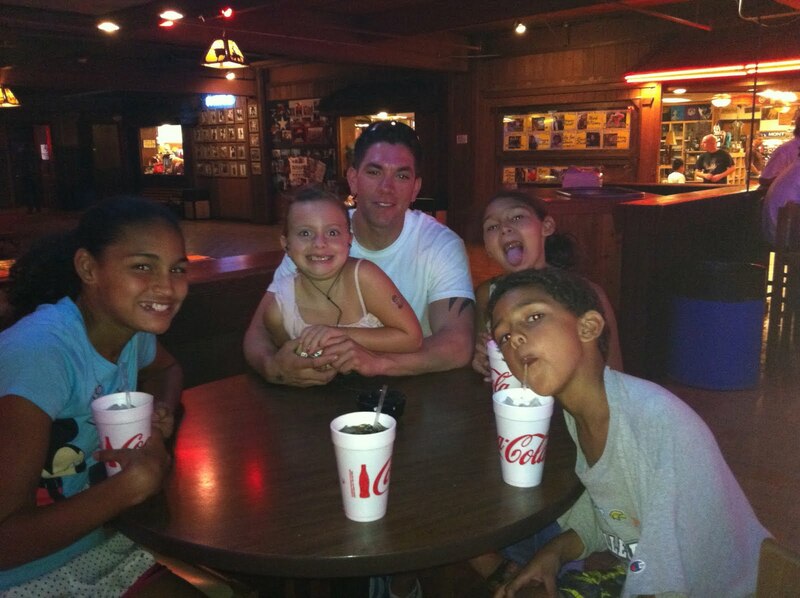 Wish I could have spent more time with them. I got home from our first road trip on Saturday night and Sunday we headed to the soccer fields to watch Kansas and Trinity play. Trinity plays goalie and she got her first shut-out in her game....woohoo!! 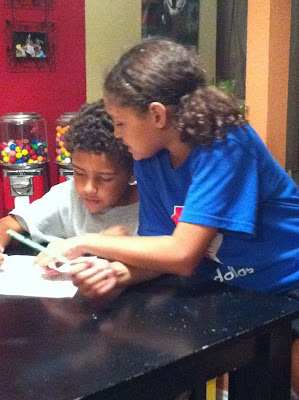 And tonight she decided to be sweet to her little brother and help him with his homework. Love it when they get along!! Well it's just another busy week in our house. Hope all is well with everyone! So if you think keeping up with the Kardashians is exciting (don't admit it) you should try keeping up with the Watts Family! To say that our schedule is jam packed is no exaggeration! 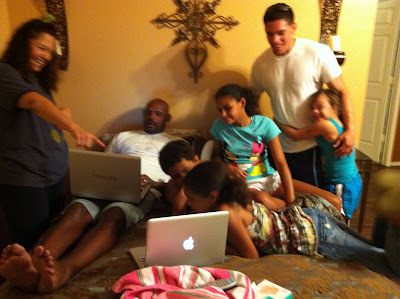 For instance, our Labor Day weekend started out with the arrival of some of my family. My Aunt Dominique flew in from Georgia to see my cousin Derek, her son that has been in Iraq for the last 12 months. 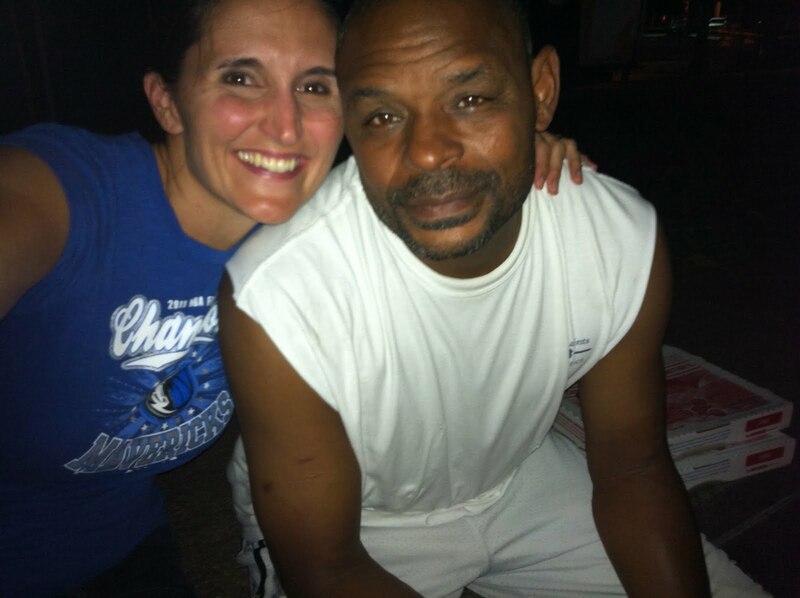 They met us up at school to enjoy some Friday Night Lights. The game on the field got a tad boring since we were beating them 90 to nothing but at least you can surf down the hill for some Friday fun! Trinity did just that. Saturday morning we were up early to watch Kansas play some soccer. I'm trying to get used to this soccer parent thing. Later that day, my parents came into town for a short visit. Since there have been so many wildfires lately, they had to return back to the farm to make sure our land was ok. Pray for RAIN!! Unfortunately they got to enjoy the excitement of our pipes backing up....nothing like having your house smell like a sewer! YUCK!! Luckily Brian, my cousin's BIL was there to help get the problem fixed. Sorry there are no pictures of the mess but I thought I would spare the grossness! 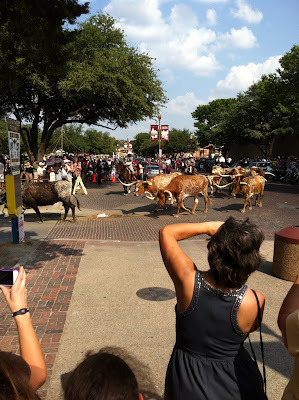 After the soccer game we headed to the Stockyards to show my Auntie some Fort Worth hospitality. 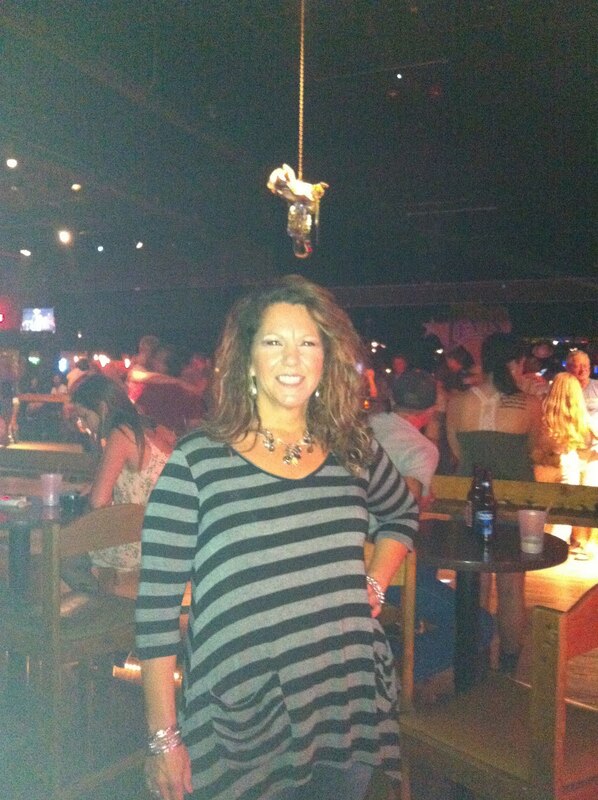 You can't come to Texas and not go to Billy Bobs!! As we were headed to look at some shops, we saw this young lady on her steer. I tried to convince my Aunt that I just traded my steer in for my Expedition but she didn't believe me. Gene was a trooper and stayed home with the kids and my Auntie, cousin Derek and his wifey, Tiffany headed back to the Stockyards. We got the notorious bull picture done....man does it bring back memories of my college days. I was either in the gym practicing volleyball, in class, playing spades or at Billy Bobs. 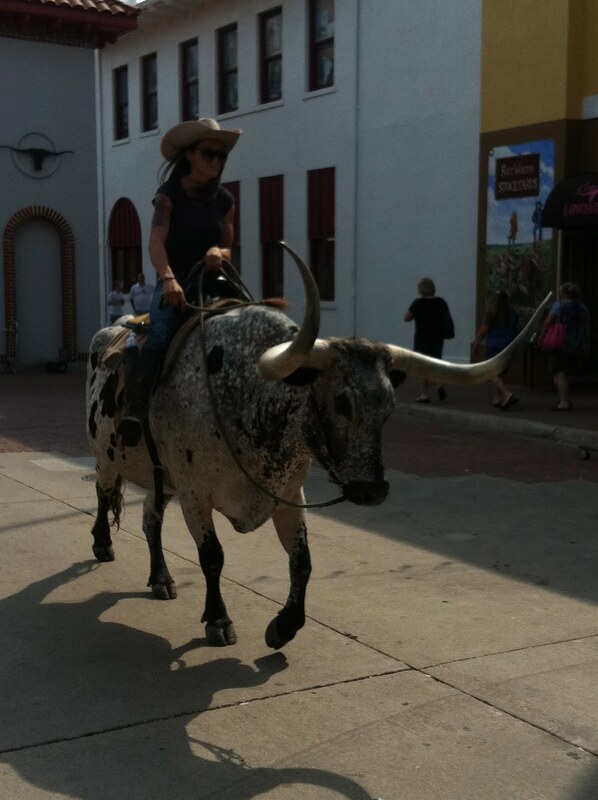 Thank goodness Rocky Mountain jeans are no longer in style!! I am so thankful that my beautiful Aunt Dominique was able to make it down from Georgia to visit. My family is such a blessing to me and I love having them around. It was so good to see Tiffany, Derek and Jasmine as well. As much as I don't want this long weekend to end, it just means another day closer to more family time. Have a great week!